I can’t even begin to express how excited I am that it’s cool enough to wear my boots and this fun new sweater! FINALLY! 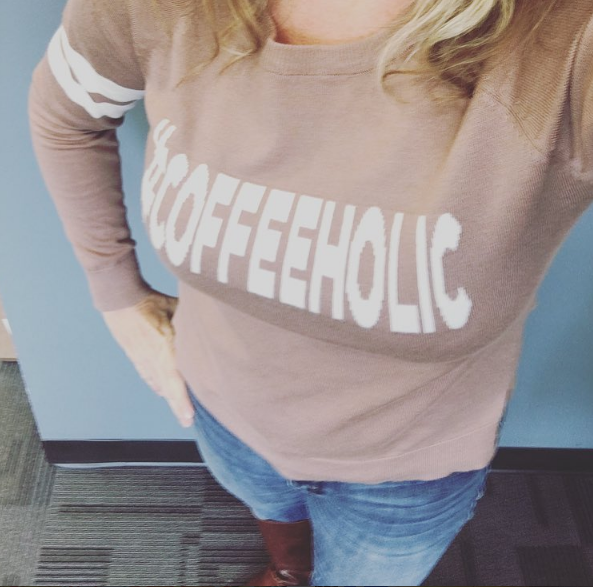 I found this fun sweater at Goodwill and thought it was too cute to pass up for a casual Friday look. Fall is one of my favorite seasons. I love the cooler weather, I love decorating for fall and I love being able to curl up under a big blanket and enjoy a fire. There’s just something cozy about fall that is magical to me. 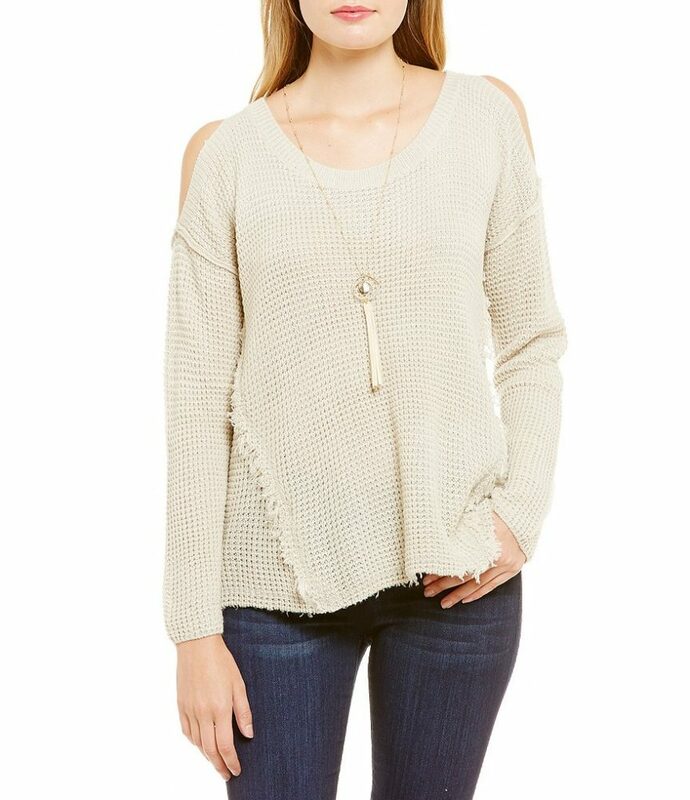 One of my favorite things about fall is changing up my wardrobe. If I had an official fall uniform it would be jeans, boots and a fun sweater or blouse with a blazer. I love layering up. There are a lot of trends swirling around for fall and although I stick to a lot of classics, such as a great pair of jeans, leather riding boots, a blazer and a nice scarf, the changing season means it’s a fun time to add some trendier pieces. Here are 4 trends I’ve spotted for fall online and at the mall that you could easily add to your closet to update your look with two options – shopping on a budget…or not! I distinctly remember wearing my black velvet chocker necklace in the 90s grunge years and chokers are making a big comeback. Here are a few options in a range of prices. 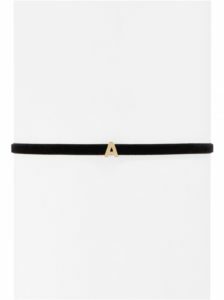 Bonus item, I know I said I’d stick with two suggestions but I tend to go for preppier classic looks now so I love, love this acrylic monogram choker from Bauble Bar, which reminds me of my favorite monogram necklace I wear all the time! Although I love this bright color featured below, it comes in some great shades for fall like tortoise shell. I could see myself wearing this every day! 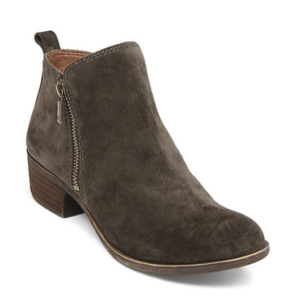 I’m a big fan of boots, obviously, and a short side-zip boot is a great way to refresh your fall look. I have yet to buy a cold shoulder top but they are everywhere and I’ve spotted lots of women 40 and up, like me, wearing them. These options are both around the same price, but less than $50. 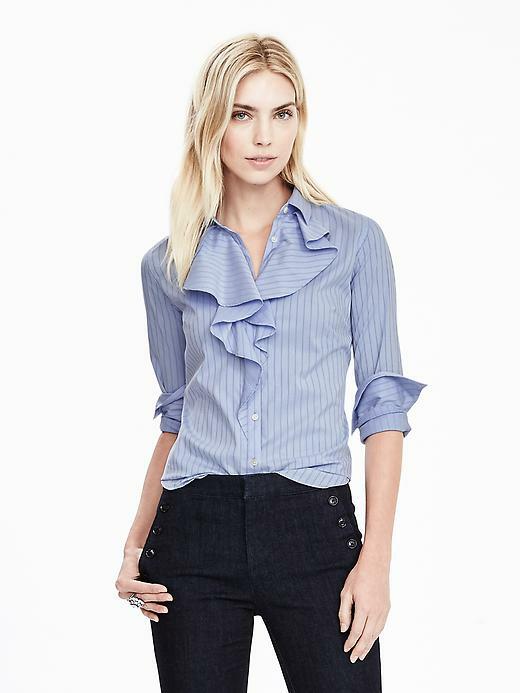 A ruffle tailored blouse looks gorgeous with jeans and flats or nice dress pants. 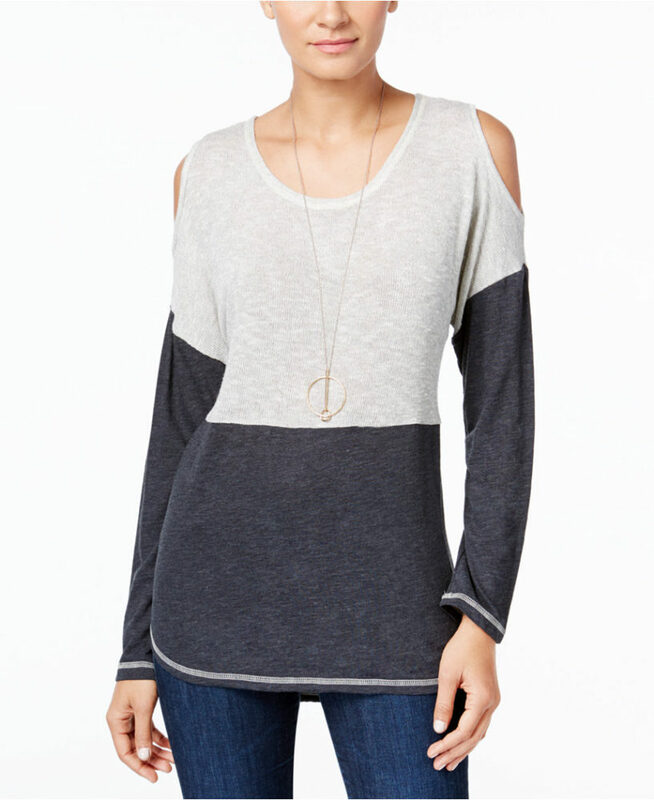 My fave is the Banana Republic Riley-Fit Striped Shirt. 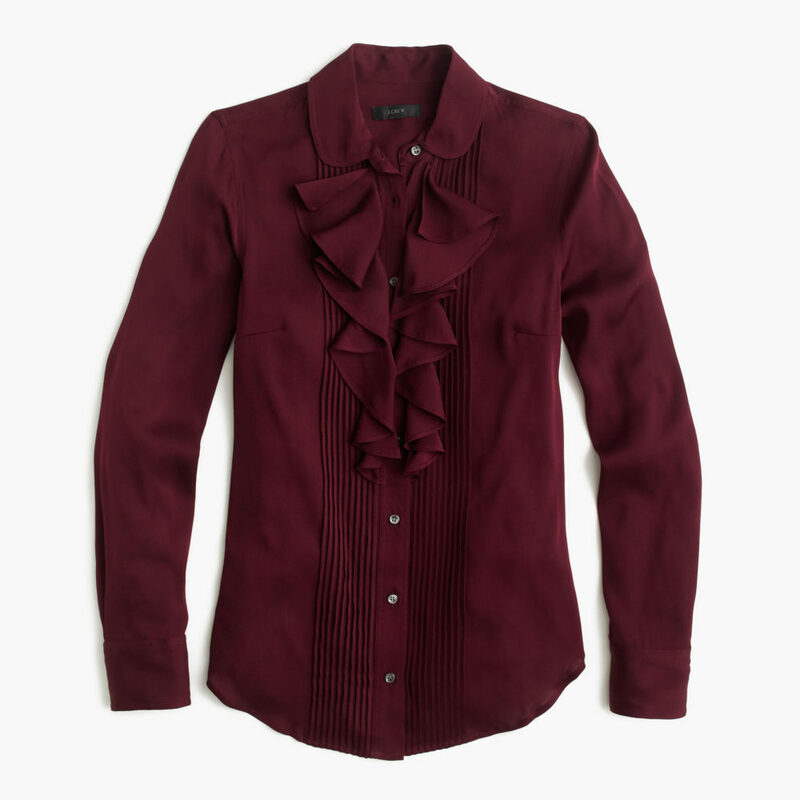 Burgundy AND ruffles are actually two big trends right now and J Crew has a gorgeous tuxedo blouse that fits both styles. This burgundy color is so rich and gorgeous it would be perfect all fall and winter. 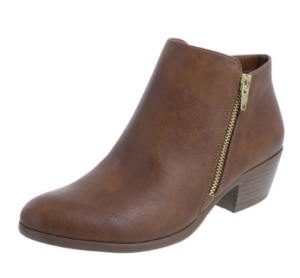 This would also look beautiful fit great jeans and flats or even nice riding boots. I love the tailored yet feminine combo! Which trend is your favorite? I really love the last sweater pictured above as well as the monogram choker necklace. I think I’ve left my grunge days far, far behind! I also love the Lucky Brand boots and the J Crew blouse is a splurge but so pretty! This entry was posted in Fashion Friday and tagged fall, Fashion Friday, trends.